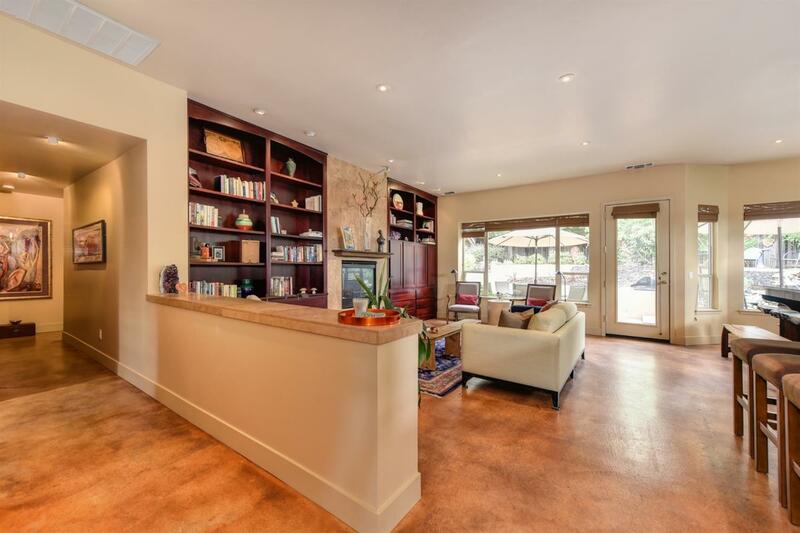 Elegant, immaculate 3 bd, 2 full ba, 1799+/- sq ft home on one level. Stained concrete flrs, high ceilings, gorgeous wood cabinetry & built in's, gas fireplace. Walk out to an inviting rear, fenced, private, beautiful yard, 4 or more sitting areas for dining, relaxing & listen to the waterfall. Chef's delight kit, abundance of cabinets, dual deep kit sink, gas range top w/pull out hood, new wall oven, soft stone countertops. 3rd bdrm used as an art studio w/Murphy bed.